Can Citrix's Octoblu really connect anything to everything? The Internet of Things (IoT) is undoubtedly the next big technology wave, and companies such as Octoblu are poised to make the most of it. If you’re still wondering what IoT is, a definition from IEEE says that it is a network that connects uniquely identifiable “things” to the Internet. These “things” have sensing and even programming capabilities that are used to collect information about the “thing” and change its state from anywhere, anytime, and by anything. 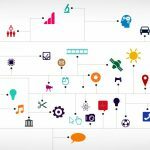 In simpler terms, IoT is a network where data flows through everyday devices like alarm clocks, watches, thermostats, and more, and this data tells us about the device, including its state and working capabilities. Armed with such information, we can program it to suit our preferences. For example, let’s say you don’t want your home’s thermostat to be turned on all the time because you’re not home all day. At the same time, you want your home to be warm (or cold) when you come back from work, but there’s no one at home to turn it on for you. A fairly practical, yet complex problem. Well, IoT can take care of it for you now. You can program your thermostat to start at a particular time every day or you can turn it on from your smartphone app, just before you leave work. Your thermostat device can be programmed as a part of the IoT network to send and receive data from your smartphone using the Internet. This way, an app can change the status of the device for you. That’s the simplicity and power of IoT for you. OK. So, how does Octoblu fit into this space? Octoblu, now a part of Citrix, is an IoT messaging and automation platform that helps its clients to build IoT products and services through a secure exchange of data in real time. Many of its features are conducive for next generation IoT applications. Let’s take a look at some of them. 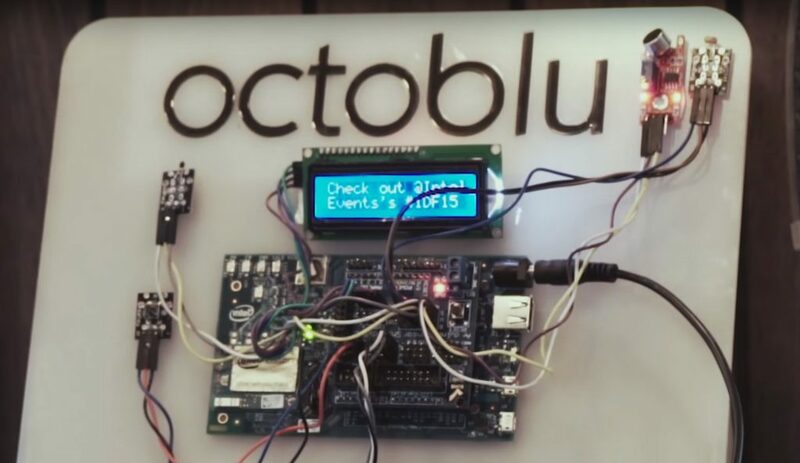 Octoblu’s IoT offerings are built on an open-source platform called Meshblu. This is a secure and cloud-based system that can be scaled for any protocol. In fact, this is what makes Meshblu ideal for communicating with a range of different devices such as sensors, cloud resources, IP-based hardware devices, software APIs, and more. It allows communications across networks and even other IoT platforms. This is the most important component of Octoblu’s IoT and it handles almost every action or input that comes through the platform. From a developer’s point of view, this is one platform you should understand thoroughly. It’s even a good idea to read through the documentation to get a better understanding of Meshblu APIs needed to handle and trigger different actions. One of the nice things about Octoblu is that it is open source, so you can take the source code and modify it anyway you want. The platform itself is highly customizable and can provide automated solutions, regardless of the vertical market in which you want to use it. In addition, more than 800 repositories are available on GitHub, so you can tap into it, modify, or even create your own application based on it. In many IoT platforms, security seems to be an afterthought, partly because it’s still an emerging technology. However, Octoblu has built robust security into its products right from the very beginning. One key security aspect that differentiates Octoblu from other IoT platforms is its use of a Unique User ID, or UUID. Many other platforms only have a regular username/email ID and a password for authentication, but UUID gives Octoblu an additional security measure. While email ID and password login is a popular way of identifying a user’s identity, it may not be enough in a complex IoT network where many devices interact with each other. This is why Octoblu decided to create a UUID system to give an extra level of authentication and protection for user accounts. With this UUID, Octoblu offers four distinct layers of security. Every object that interacts with Meshblu is given a unique 36-character alphanumeric UUID and a 36-character token. These credentials allow different devices and objects to interoperate within the Meshblu platform and are also used to discover, message, or configure devices through APIs. The same UUID is used to create a permission structure, where each object or device has a specific role in the network. This way, it’s easy to manage lists that can have access to certain resources against those that can’t. From a security perspective, this is an important aspect because you can decide what objects alone should use what critical resources. This ensures there’s no overlapping of resources and plugs many security loopholes. All messages in Meshblu have a two-layer encryption. Any message between devices and services use the TLS encryption, regardless of the underlying protocol used by the devices. Octoblu though currently supports only HTTPS, websockets, secure CoAP, secure MQTT, BLE, AllJoyn, and Gateblu protocols. Besides TLS encryption, all message payloads are encrypted independently through AES encryption that uses a combination of private and public keys. It’s not just the devices that need a UUID, but also the services you’re likely to use such as ShareFile and StoreFront. Each of these services return a service token that is encrypted and stored in your user vault. You can use these tokens at any time to authorize access to Octoblu’s automation flow. With such advanced security mechanisms, your data and communications are sure to be secure. In Octoblu, you can move your sensor data and machine-to-machine messages quickly to Big Data stores in real time for an in-depth analysis. Octoblu currently supports Splunk, ElasticSearch, Intel Analytics, Microsoft Analytics, TempoIQ, and InitialState Big Data engines. 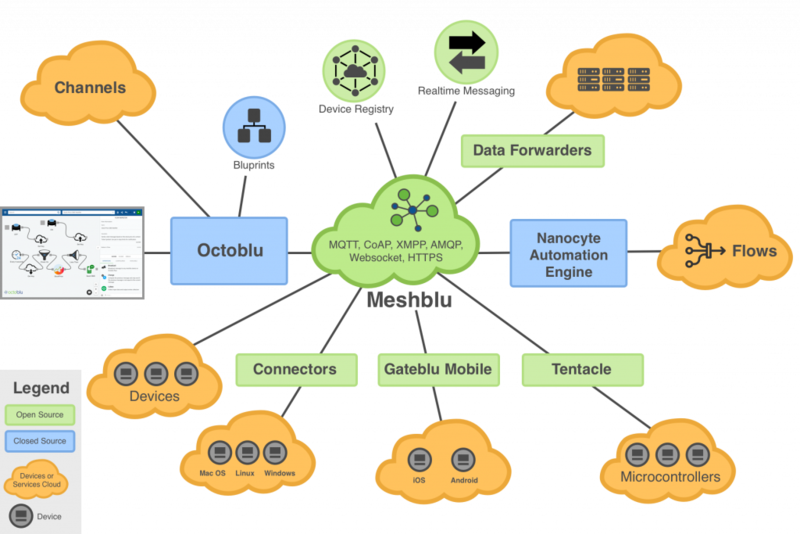 Octoblu’s microcontroller operating system is Tentacle — an open-source collection of libraries that allow microcontrollers to interact with the Meshblu platform. It uses Protocol Buffers, Google’s language-neutral and platform-neutral format, for messaging. The obvious advantage with Tentacle is you can control the voltage of any General Purpose Input Output (GPIO) pin. In addition, you can stream both analog and digital sensor data into the platform. Octoblu wants to empower every individual to create their IoT network, even if you don’t know how to write a single line of code. Its designer makes this possible as you can simply drag and drop items and deploy them. None of this requires any coding. It’s clear that Octoblu hopes to become the next-generation IoT platform that allows you to connect different devices to a network and helps them to communicate with each other as well. The many features such as security, drag and drop, extensible tools, and more make it possible to connect almost any device to anything else. And that’s why Citrix Octoblu can connect almost anything to everything. Home » Virtualization » Citrix » Can Citrix's Octoblu really connect anything to everything?